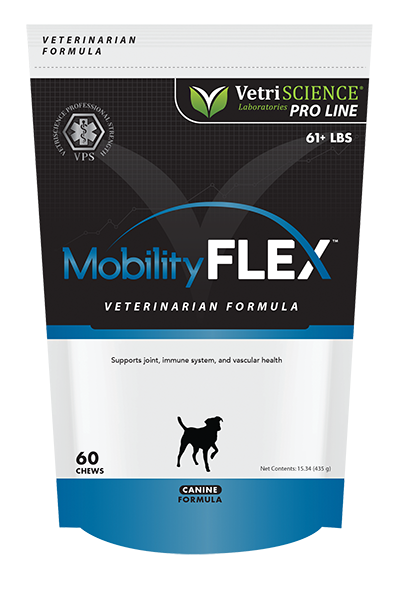 Mobility FLEX provides the combined nutritional support of Bromelain, Perna, and MSM for comfort and recovery after surgery or trauma. Mobility FLEX contains a blend of essential herbs and nutrients, including GlycOmega brand Perna canaliculus, and RST 247, a proprietary blend of functional bioactive oils. RST 247 is a newly developed nutraceutical ingredient that focuses on the problems associated with "silent inflammation" in the body. RST 247 is formulated from 3 specific oils containing unsaponifiable lipids, essential fatty acids, and Ricinoleic Acid, which support a healthy inflammatory response and a balanced microbial environment in the gut. Available exclusively through veterinarians. 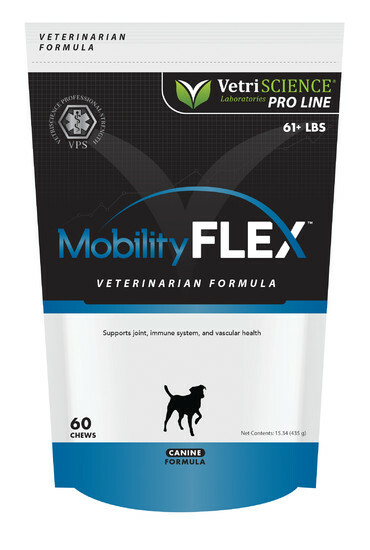 Ask your vet about Mobility FLEX today! soy lecithin, vegetable oil, water. CAUTION:If lameness worsens, discontinue use and contact your veterinarian. CAUTION:Use with caution in animals at risk for GI ulcerations. WARNING:Keep out of the reach of children and animals. Some pets may consider this a treat. In case of accidental overdose, contact a health professional immediately.